The Stainless Steel Hinged Grid from PK is made from 304 Grade Stainless Steel. Borrowing a quote from Meathead Goldwyn, "Because it contains more nickel and less steel in the alloy, 304 is higher quality and higher cost" (than the more common 430 stainless). You will find 304 grade stainless in many of the new and forthcomingPK accessories. This unique hinged cooking grid replaces the stock nickel-steel grid. It incorporates heavier gauge wire a reinforced hinge with vertical stop (so it doesn't fall back on your food) and a handy lift tab on the hinge side to make it easier to open and close with a pair on tongs or gloves on. 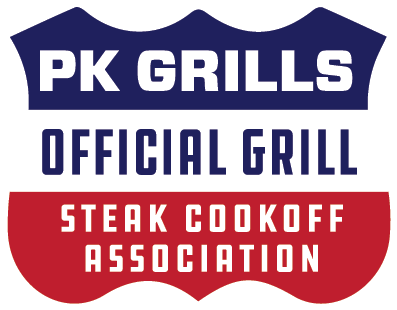 Everyone who owns a classic PK Grill & Smoker will want to upgrade to this cooking surface. 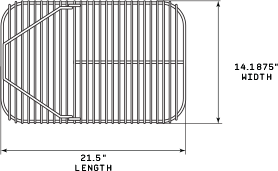 The stainless steel hinged grid will fit any PK produced since 1997. 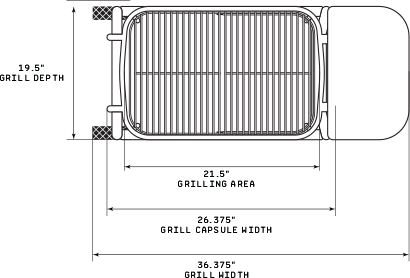 For prior (or unknown) year models, please be sure to measure the inside of your grill to ensure a proper fit. 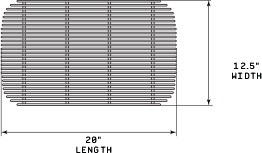 The hinged cooking grid measures 21 1/2” x 14 3/16”. Questions? Give us a call. Fits Classic PK Grill & Smoker. Fits all grills manufactured since 1997. For prior years, or if you are unsure, give us a call. Reinforced hinge with vertical stop. This new hinge and stop allow you to open the cooking grid and leave it in the up position without resting it on your food. Heavier gauge than stock grid. Want to stay in the loop? Join our mailing list.